Project Bread brings a fresh approach to ending hunger. We believe that the opposite of hungry isn’t simply full—it’s healthy. 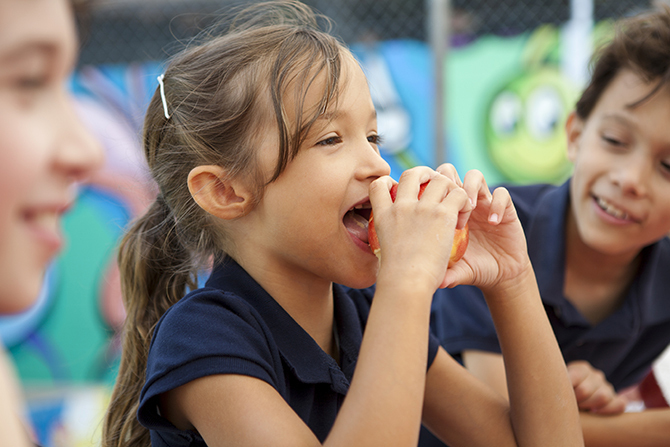 By creating, funding, advocating for, and facilitating programs, we promote sustainable and reliable access to healthy food for all, invest in the strength and resiliency of local communities, anchor children’s programs in local and familiar settings, and collaborate with others to build a robust regional food system. We know that the true experts on hunger are the people who experience it, and those who see it firsthand within their own communities. We listen closely to what they have to say, and observe carefully; our work is continually shaped by the people we serve. From emergency and community-based meal programs, to early childhood and school nutrition initiatives, to improved access to farm-to-table and local food resources, we offer practical help to those who face hunger. We approach hunger as a complex problem with multiple solutions: solutions that meet people where they are; solutions that focus on empowerment, innovation, health, and dignity. We inform our work with research conducted hand in hand with top academic institutions, and we drive innovation by joining forces with communities, government, and industry to develop and pilot new models to effect change. With the help of our partners—and through individual contributions, grants, corporate sponsorships, and the participation of tens of thousands of Walkers—we’re a catalyst for change in the Commonwealth, By bringing people, funding, programs, and policies together, we provide hope—and improve the lives and prospects of many people across our state. Learn more about hunger in Massachusetts through our research.